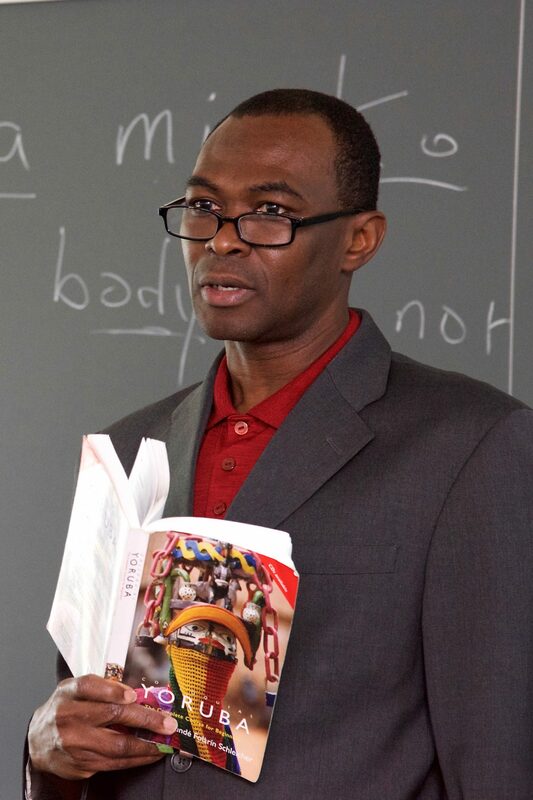 Africana Studies outgoing chair Akin Ogundiran will serve as Editor-in-Chief of African Archaeological Review (AAR). This is the oldest continent-wide journal in the field of African archaeology. The five-year appointment will provide students with the opportunity to be part of the editorial process of a major international journal, in addition to providing UNC Charlotte with more visibility as a research university, Ogundiran said. AAR, published by Springer, publishes four issues a year. It is on the Social Science Citation Index®, and it is ranked in the top 20 of 289 archaeology journals worldwide. Ogundiran is professor of Africana Studies, anthropology and history at UNC Charlotte, where he has also served as chair of the Africana Studies Department from 2008 to 2018. He earned his bachelor’s of arts degree, master’s degree, and doctoral degree in archaeology from Obafemi Awolowo University, University of Ibadan, and Boston University respectively. His research interests focus broadly on the archaeology of emergent communities, social complexity, and cultural history of Atlantic modernity in the Yoruba world. His earlier research efforts sought to understand the impacts of global/regional social, political, and economic processes on community formation; and how social actors created knowledge, communities, memory, and identities with objects and the landscape, 1000-1800 AD. Ogundiran is currently leading a research project on the political economy and settlement ecology of Oyo Empire focusing on the landscape history of the empire’s metropolitan area (Oyo-Ile) and one of its colonies (Ede-Ile). He has also facilitated collaborative projects on the archaeology of Atlantic Africa and the African Diaspora. Ogundiran has received support for his research from the Social Science Research Council, Wenner-Gren Foundation for Anthropological Research, National Endowment for the Humanities, Dumbarton Oaks, Carnegie Foundation, National Humanities Center, and the American Philosophical Society, among others. Also this year, he was named a Visiting Fellow of Magdalene College, University of Cambridge. This honor recognizes his preeminent status as a researcher and scholar of emergent societies and social complexity in Yorubaland, Atlantic Africa and the African Diaspora during the past 700 years. His induction followed being named a Yip Fellow in 2017. The Yip Fellowship, which provided room and board, enabled Ogundiran to conduct research on the archaeology of state formation and global commodity trade in West Africa with emphasis on the Oyo Empire, 1570-1830. He is author/editor/co-editor of several books including Materialities of Ritual in the Black Atlantic (Indiana University Press, 2014) which won a Choice Outstanding Academic Title for 2015. His articles, reviews, and essays have also appeared in African Archaeological Review, Azania: Archaeological Research in Africa, Journal of African Archaeology, Historical Archaeology, American Historical Review, Journal of World Prehistory, International Journal of African Historical Studies, International Journal of Cultural Property, Current Anthropology, African Studies Review, English Historical Review, Economic Anthropology, and History in Africa, among others. Ogundiran has advised local communities and international institutions such as the World Bank on cultural heritage and public archaeology issues. He has also received awards for excellence in teaching, research, and service, including a Certificate of Special United States Congressional Recognition for Excellence in Service (2007). In 2018, Nigeria’s Centre for Black Culture and International Understanding, a Category II affiliate of UNESCO, presented him with its Award of Excellence. The College of Liberal Arts & Sciences has featured one of the many areas of research represented in Ogundiran’s work here.